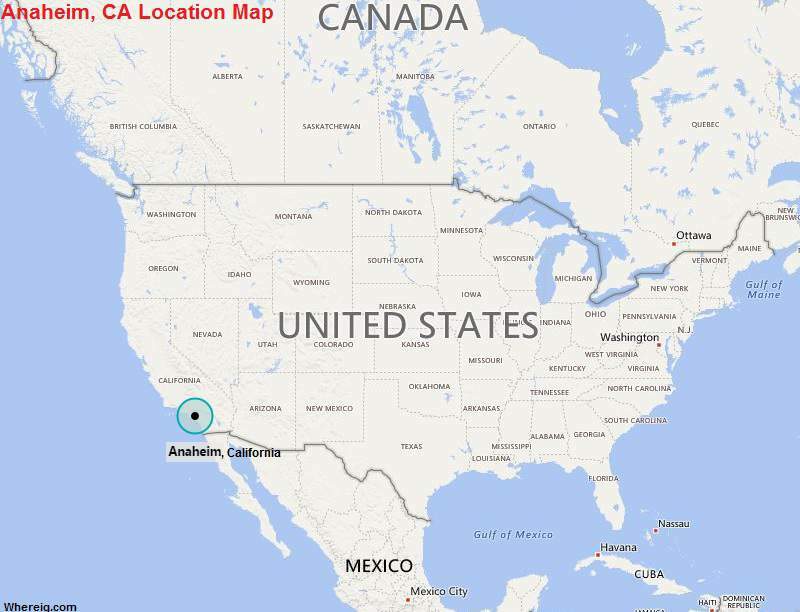 About Map: Map showing the Location of Anaheim, California in the US. Anaheim is located in the southern part of the state. It is the 10th most-populated city in the state of California, and 54th in the United States.